The study, published today in Nature Communications uses newly available data and advanced models to improve global predictions when it comes to extreme sea levels. The results suggest that extreme sea levels will likely occur more frequently than previously predicted, particularly in the west coast regions of the U.S. and in large parts of Europe and Australia. “Storm surges globally lead to considerable loss of life and billions of dollars of damages each year, and yet we still have a limited understanding of the likelihood and associated uncertainties of these extreme events both today and in the future,” said Thomas Wahl, an assistant engineering professor in the University of Central Florida who led the study. He is also a member of UCF’s Sustainable Coastal Systems Cluster. 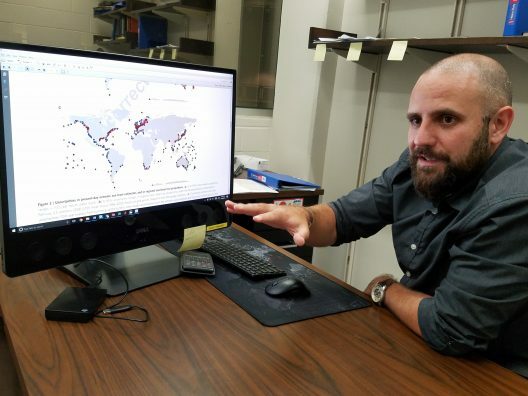 “In order to understand coastal impacts under current and future climate and socio-economic conditions, we do not only need robust projections of mean sea level rise but also a profound knowledge of present-day and future extreme sea levels, because these events drive the impacts,” Wahl said. Also part of the team was Professor Robert Nicholls at the University of Southampton, UK, Jochen Hinkel at Global Climate Forum, Germany, Arne Arns and Soenke Dangendorf at the University of Siegen, Germany, and Aimée Slangen at the Royal Netherlands Institute for Sea Research and University of Utrecht, Netherlands.